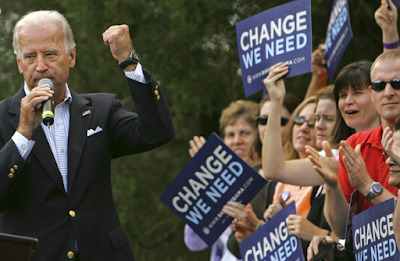 More press photos are trickling in from the Joe Biden event in Sterling. This is a great photo of Leslie and Sharon! 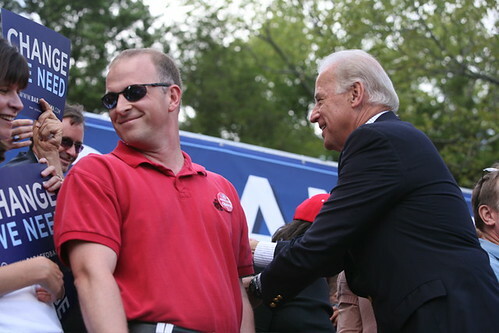 And a photo showing just how close we got to the next Vice President. But my favorite was on CNN's Political Ticker. I like this one, because we're all in it! Very cool! Taking action for what you believe is important. Good for all of you! After seeing the -"just an average hockey mom"- Palin's speeches and stands...it is sooo sad, Gosh... 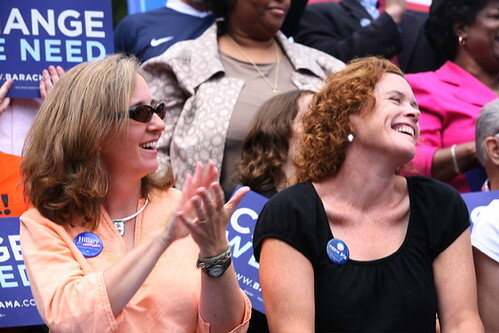 I am for seeing women in a high political position, but NOT a Bush-like minded. You know, my feelings do not count on your election, but I am enjoying the American political circus. I am basically referring to the USA media. Journalism in the States is becoming way too controlled, off-focus and a bit trashy when it comes to politics. My best to the best for the good of the USA. Good historical shots!In the future your kids will proudly look back and say "I'll be an active participant of politics too" Save the pics!!! This is Adolfo D A, and I approve this message.